You are here: Home / DID Education / Kathy, Where Have You Been These Past 5 Years? FIRST — I want to say… this [post was written on] the 15-year anniversary for the beginning of my very first online therapeutic site for dissociative trauma survivors — AbuseConsultants — a website offering online counseling, email consultations, phone sessions, and Skype sessions. AbuseConsultants was probably one of the first online therapeutic resources for survivors with Dissociative Identity Disorder. It had gobs of information, pages of survivor art and survivor poetry, and all kinds of good stuff. It was the early days of online counseling, back when people were afraid of doing much of anything online. There certainly weren’t very many online mental health professionals back then — we were the mavericks challenging the old ways of doing things. I had already been working extensively with trauma and dissociation for about 15 years before that, so I wasn’t worried about being able to recognize dissociative issues from a distance. And with all that confidence, AbuseConsultants opened its doors in April 2001, and wow, things have really changed since then. First of all, it’s not weird to see online therapy anymore. It’s not weird to see people offering Skype sessions, or phone sessions, or distance therapy. Our world has become more accustomed to the idea of distance therapy and/or online therapy. And thank goodness! Because there certainly are not enough good DID therapists in the world, that’s for sure. Life has changed lots for me too. When AbuseConsultants was active, I lived in the Dallas, Texas area. I had a beautiful little comfy office, in addition to keeping busy with online counseling, email consultations, and phone sessions. At a later date, I added a therapeutic group support forum, SurvivorForum, and kept super busy with that for 5 or 6 years. Yep, I was working with dissociative folks in my local office, having distance sessions over the phone, writing email consultations, and also managing a 24/7 online forum group. Talk about BUSY!! And then came 2011, when life completely changed for me. What happened? Where did you go, Kathy? What have you been doing? If I had a dollar for every time I’ve heard that…. Well, to condense very briefly, all within a matter of a few months in the beginning of 2011, everything flipped. My husband had a sudden, and unexpected complete life threatening medical emergency that took me right out of work and into full-time medical assistance for an extended period of time. (He’s fine now, but it was quite scary for awhile). And then another family member was having a sudden life threatening medical crisis, and needed immediate full-time care and assistance… which was the final blow to my days in Texas. I was completely exhausted and worn down from complicated messes that were everywhere, on every level of my life (those are giant topics of their own, for another day…), but you know… when there is a life-threatening medical crisis, there is no time to wait. Or to rest. And in yet another big rush, I boxed up a few things, put a few things in storage, sold a whole bunch of stuff, donated a whole bunch of stuff, tossed out a whole bunch of stuff…. Yep. From Dallas to Australia. A kangaroo in the wild…. Land of the kangaroos, koala bears, and crocodiles. And kookaburras and kelpies. It’s years later now, and I’m still down here in beautiful Australia. You might have guessed that by looking at some of the pictures and video’s I’ve posted, full of pretty flowers, weird trees, beach scenes, kookaburras, etc. If you did guess Australia, you were right! And now that you know, you’ll certainly be able to see Australia in lots of the pictures and video’s. Enjoy! My years here have been a time of refreshment. Of healing. Of peace and quiet. Of complicated life messes, as per usual. But the beauty of this country has been enormously good for my very worn down and exhausted heart and soul. I didn’t expect to be here this long, but life did what life does, and here I still sit. At least it’s beautiful here. And the Aussie folks have been wonderful to me, even though they think I am the one with the funny accent. Ha! I’ve made a few casual comments here and there about it, so today is a bigger, more official statement. I’m getting ready to come back to work. Yep, that’s right. I’m coming back and doing it again. My five year break left me much more rested, much more centered, much more at peace, and ready to go. I was pretty darn exhausted back in 2011. A good, long rest was waaaaaaaay overdue. So yes, it’s been enormously helpful for me to have some down time to focus on puppies, and rain forests, and beaches, and gardening, and pretty flowers, and healthy cooking, and physical exercise. I’ve lost some weight, and I sleep a lot better now. I didn’t get to pack my piano in my suitcase for the plane — I really miss my music! — but I have plans for that too. Life won’t be complete until I’m back at the piano again. I took this picture with my iPad. No editing. How gorgeous was that sunrise!!! The awesome beauty of nature has been my place of peace and solace. It’s just filled my soul and brought health and wellness back to me. I’ll have to go on and on about that another time, later. Now that I’m feeling better, it’s time to dig back into work. I’m already working with a professional Blogging Coach to help me address issues various technical and administrative issues here on the blog. I’m learning all kinds of new options that you will see put into action over the next chunk of time. I’m working at it as quickly as I can assemble the information, so yes, you will most definitely see things changing bit by bit around here. I’m soon to hire a new Web Techie person, because let’s face it. Technology is STILL allergic to me, and I am STILL hopeless at doing much of anything more than just typing. So when that techie savvy web-smart person gets to work for me, who knows what all will look different! But I will still be here. AND…. in honor of AbuseConsultant’s humble beginnings in April 2001, I want to offer to do some phone consultations again. What? It’s been a long time coming, Kathy — did you really just say that??? I’m opening up my schedule, for at least a short while, to do to phone consultations again. I’m not offering to be an ongoing therapist — you will need to find / keep your local therapist. But if you have questions to ask, or you need a second opinion on a blockage that you’re struggling with, or if you have been reading the blog for awhile, and you have your own personal questions you want to ask me….. this is your chance. Yes, I’m interested in doing phone consultations. I can say now, that of course, I am not set up to take any insurance payments whatsoever as I am providing this service from Australia. If you can convince your insurance company to pay me, then major kudo’s to you! Chances are they won’t, so likely you’ll need to use PayPal to make an appointment happen. I can answer questions, your questions, in a consultation. I’m good at asking questions, and I figure I can be good at answering questions too. Here I am, and I have a phone that works. Anyway…. that’s a lot of news to share. I think I’ll leave it here, at this point, and let y’all have a little think. THANK YOU, all of you, for staying with me, and for reading here during all these years that I have been tucked away, recuperating from all the overwhelm of a complicated life and exhausting workload. It’s good good good to practice good self care, so when I say to you — Be Kind To Yourself !!! — you’ll know that I am coming from a place where I’ve had to do that too. There’s always more to say, but that can wait for later. Please do take care, and maybe just maybe I’ll be talking to you soon. oh my gawwwd all this time and you’re in our backyard!!! Where in Australia are you? We are in QLD. 🙂 Here we were thinking all these aussie pics you’ve been sharing were just randoms from a holiday you took or from google LOL. So lovely to hear you’re coming back to work and well rested. I think we might have to look into those question sessions you’re offering, you’re someone we’ve always used as a guide for our healing and whom we all look up to and trust. Gotten us through some of the roughest most dangerous days in the beginning and are continuing to be more helpful than any other T we’ve tried. Very interested to hear more as you get it all set up. Will they be open to everyone world wide? And on skype/phone kinda thing? Or would they be email/instant chat? So glad you hubby is doing well again and things have settled down for you. Thank you for not turning your back on us DID’ians out there. And yes, absolutely, whoever, wherever they are — if someone wants to request a phone consultation, it will be open to whoever schedules one with me. I have an international phone line so I am able to call most anywhere in the world, so I will be the one making the call (no long distance fees for anyone else). I’ll detail more of that info on the upcoming page. Thanks for your interest! Kathy I’m one of those patients that was in Dr. Colin Rosses care at timber Lawn for many many years dealing with DID I have been fortunate over the past six years to work with the lady that is not licensed in therapy but I just had no insurance to cover therapy, I have a very extensive system and we been able to get to the depth, there are days where I do need a therapist I just cannot afford it, so I keep trudging on with my system. Thank you so much for all you’ve done to help so many that would not get care. I want to thank you Kathy, for all the work you do! This site has helped just knowing there was someone out there who truly understands! It has sparked questions and some internal soul searching. Thank you for that. I highly doubt if I would be able to afford your services, unfortunately. I would certainly love to though. I am “stuck” and already have two full time therapists. Unfortunately, neither one of those two are experts as you are. I would love to have just a little guidance here and there! Bless you, Kathy… For all you do. I wish I could do more…. You sound very dedicated to your healing, so I’m sure all your hard work will make a difference. Besides, in my opinion, the very most important key to healing with DID is what you do with your system. It much less about what your therapist does / knows, and much more about what you do and what you can learn about your insiders. I can tell you work hard, so keep that up, and I’m sure things will improve in your world. Cheers Kathy – Yes – do get that working with people who are many gets pretty draining and no-one can do it if they don’t look after themselves first. Glad you’ve rested enough now. Looks like you’re enjoying the warmer end of our continent. Yes, good self care is a MUST!! We’ve all been through the wringer one way or another, and enough of that, that’s what! Good self care makes it better all the way around. First I was like Yep, then I was like :O (all the medical), then :O :O (all the other crap you had to go through. Then I was like “hmmm maybe she’ll take Medicare” (looking at your going back to work and “no s**” on “there’s so few DID therapists ANYWHERE), then AUS and “so much for Medicare”. And then this gem: “Did y’all know that while you all are a beautiful group of people, you are each very complex and complicated, and it’s very very exhausting to work with multiples all the time, every day, for years and years at a time?? I mean no offense, but you know… I was TIRED!!)”. And I’m like >:( If *I had a dollar for everytime I heard THAT… And just like that, all the other stuff went away. All the “I’m better, I’m back”. I’m grrr right now. If you have to add “no offense” to something, chances are you shouldn’t be saying it to clients. Thanks for the reminder of why people won’t work with DIDers and why I’ve seen something like 15 therapists in the last two years after mine died. And I start again Friday with little hope. I’ve noticed in the last 2 years that therapists are starting to confuse ‘transparency’ with ‘TMI’. Things that would have been better left unsaid. Their own issues, feelings, and countertransferrence. Their own tiredness and fears. DIDers already take on that blame of being who we are and often try to keep or lift the burden of being us from the therapist- to help keep them in our lives. We pick up on every little nuance and apply it to how bad we are or how exhausting or complicated we are, and then care-take the therapist. I am a co-organizer of a DID support group where we talk about these same issues. And how one off comment can destroy the trust that took years to build. Then extra phone calls or sessions are needed to repair the damage and we are reminded “I’m only human” by the therapist “I make mistakes”. Which we know, but it still cuts to the bone and rocks the core. One of ours can’t leave this post without something good, so she says Glad you’re better and your husband is better. Enjoy life in AUS (a place we’ve always wanted to go). And that the blog has been really helpful to us up to when your life went into chaos. And sorry you had so much chaos. I’ve appreciated you coming here, reading, commenting, participating for all the years that you have. It just would not be the same without you!! I certainly wish there were more resources out there too — it would be easier for everyone who is so committed to healing and safety. I’m doing what I can to make it better and I can see that you are working hard for your healing and helping those around you — that’s great!! I hope that some of the eBooks I’m working on will give you some of the guidance that you need, as they will be geared for doing system work on your own, whether you have therapeutic guidance or not. Hold tight, girl. You’re one of the strong ones — you’re achieving more in your healing than you realize! The land down under, eh? Ok, so tell us…what does a Vegemite sandwich taste like? I am glad you are coming back. This website and all you share is so helpful to so many of us. I do hope you will bring back some kind of online support. Not sure about phone calls to Australia, but will look at it when you put the info out. I like the idea to ask you questions online. Thanks. It’s taken awhile to be back in the place ready to go again, but I’m all kinds of excited about it now. I’ve got a LOT of ideas, so I’ll implement them as quickly as I can…. And the plan is for me to make the calls to whoever signs up, so I’ll do the calling from my phone. It’s crazy expensive to call Australia from the USA or Canada. Don’t know about the UK, but it’s probably expensive from there too. But I have an International Phone Line already, so I can call to those places (and more) with no problem at all. a big g’day from across the ditch! so glad you are back and happy to hear you are not far away over in OZ. we moved to NZ just over 8 years ago from the States and are loving it here! we have done so much healing since that major move because it feels incredibly safe here and found an amazing T to work with. unfortunately, when i met him he had absolutely no experince working with DID clients, but he has hung in here with me for five years now, learning so much, not only about me, but of himself too, over all these years. it’s good to know that you will be an email or call away if there are times where i am stuck again with my T.
I even know what you mean by “the ditch”!! I bet a lot of the other “Yankees” from the States don’t know what we’re talking about. It’s almost a secret language, ha ha ha. You know… I think New Zealand accents are far harder to understand than the Aussie accent, so my hat’s off to you. It’s so confusing at first, because the words are ALMOST the same, but those vowel sounds…. they just throw me for a big ol’ loop, lol. New Zealand is just so incredibly gorgeous too. I can’t wait to pop over there and have a look around. Just let me know when it’s not earthquake season!! And well done you for finding a way to get your healing accomplished. You must have moved further away from hurtful places, and that’s excellent. Geography doesn’t heal all wounds, but it sure can make a difference when you can move to ANY place that feels safe compared to being in a place that feels scary. Keep up the good work, and maybe we will have a chat someday. Speaking of languages, I find the New Zealand accent so much harder to understand than the Aussie accent. The words are almost the same, but then…. there are those weird vowel sounds!! They confuse me and I have to really stop and think — like really. Stop. and. Think. — what words they are saying, lol. Because I think I should know… but, then I’m not so sure that I know, you know. :) So hats off to you! New Zealand is such an incredibly beautiful country. I can’t wait to pop over there and have a look around sometime. Just let me know when it isn’t earthquake season! And good for you for finding a way to accomplish your healing — well done. Moving anywhere that feels safe is so very much better than being places that feel scary. Safety makes a huge huge huge difference, no doubt about it. Keep up the good work, and maybe just maybe we will have a call one of these days! So… Kathy, since you mentioned the expense of calling the states.. Have you considered an online form of communication such as Skype, FaceTime, or others? Those have zero costs PLUS you can do actual video chat! It would definitely cut the cost and people like me who need general direction could get it. I would still be interested and maybe I can find some extra money to do it. Yes.. I have therapists AND I would love to get some ideas here and there from someone who actually has experience. Waiting patiently for the information! I’ve used Skype before so that might be an option to consider as well. It’s a bit more complicated but I can think more about that one for sure. Sounds like I need to type a little faster!! Thanks for your thoughts, and your interest. My name is Mika and I am 16 years old! I am so sorry if I’m intruding, as I am not a survivor myself, and do not have DID, but I am very interested in becoming a trauma therapist! Your articles are so very helpful, and in all honesty just amazing! I have yet to find another website as helpful as yours! My question is, of course there are many, many articles from you I have yet to read, so are there any you’d recommend for someone who is interested in taking the same career path as yourself? Resources from other sites than your own are very much welcome too! And any advice, if you happen to have any! Thank you so much for all that you do, it is really so unbelievably wonderful, and I am sending you many kind thoughts! AND…. if you want to learn about this field… I’d say start at the beginning of the blog and just read the whole thing. HA! BIG job, lol. But to learn about DID, you’ll need to know everything you can learn from here, and more — because so much of what is written here is still only scratching the sides of what there is to learn about Dissociative things. The comments from the other readers are really important too, because the comments are most frequently made from people with DID, and those are the true experts in the field. I learn from them, so …. start early, by learning from those that know it best. Thanks for your interest, and heaven knows, we needs lots more good trauma therapists. I wonder what your unique contribution will be to the field?!!!! Keep reading, and happy learning! 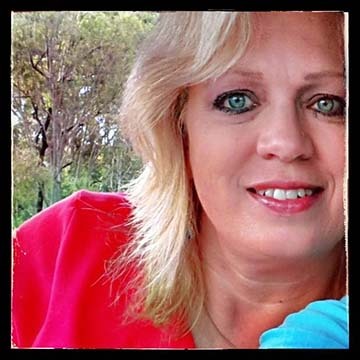 Hi Kathy, I am American/ Australian living here in Oz too. I am an Art Therapist working with Trauma survivors. Thank you! Welcome to DiscussingDissociation — nice to meet you! I bet you have a fascinating job — and what a powerful way to help with healing. I’d love to learn more about the whole field of Art Therapy. Artwork is a huge part of DID therapy, in my opinion. Kathy, I left a comment in the thread about submitting art work, but my actual name is there instead of my user name. Can you help please? PANICKING! Hi Susan, fixed that for you! Privacy is definitely important. I completely understand. Thank you so much, Kathy! How will we be contacted if you want to use our art work? I’m very glad you’re back. You were missed! A question I am wondering if anyone else wondered. Of all the places on earth, why Aulsrailia? It’s a curiosity question really. I think if I ever wanted to go away it would be ummm Hawaii.. Or ummm … I don’t know.. Mars… The moon? There are lots of beautiful places on this planet for sure just wondering if there was something specific that drew you there? I was released from U B H Denton Tx in October. That’s where Colin Ross institute is now. Having a hard time but taking it one day st a time. Kathy, it’s possible that we’ve met before. We were at Charter in Plano as well as Timberlawn many years ago. Of course that was more than 20 years ago and 2 children for me. Plus the huge September 2011 wildfire that took a huge chunk of my nearest Texas state park and lots of my neighbors homes with it. You probably had left the state by then though. I really wish I could say that we are healed from DID, but we are not sure that will ever happen. There are so many layers from so many years of abuse. Although I think we are getting closer to the core. If that makes sense. Currently we are working with a superb therapist. We also got to see Dr. Colin Ross AND his daughter, Dr. Dana Ross at the igdid conference in Seattle this past October. neat finding your website and blog. thank you Kathy.